Israeli couscous, a pearl-shaped pasta, is the base of this vegetarian dish! The couscous is cooked risotto-style and features seasonal fennel, tons of herbs and a lemon-y kick. 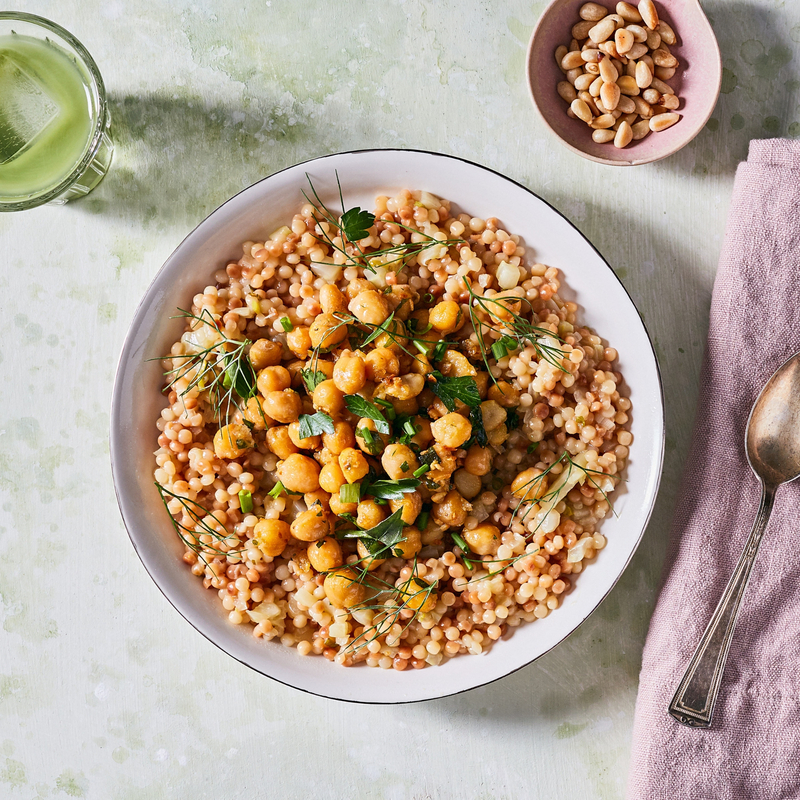 Topped up with herbed chickpeas and packed with both fiber and protein, this is one satisfying meal. Ingredients: Vegetable Stock, Chickpeas, Israeli Couscous, Fennel Bulb, White Wine, Pine or Pinyon Nuts, Shallots, Lemon Juice, Olive Oil, Grass Fed Butter, Chives, Garlic Clove, Canola Oil, Scallion or Spring Green Onions, Organic Basil, Kosher Salt, Organic Lemon Peel or Zest, Organic Parsley, Fennel Fronds, Organic Black Pepper. Contains: Milk, Tree Nuts, Wheat.